You can eat tastier food than ever, while on a very tight budget. As a mom of four, in notoriously expensive southern California, I found this fact exhilarating and astonishing. Keep reading to learn more. 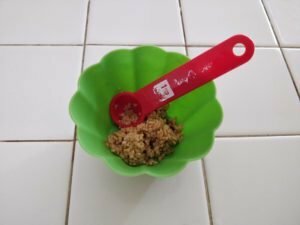 My husband is a remarkable cook and helped modify a recipe that tastes great and is very budget friendly. We went to Rome a few months back, as a family of six, flying from Southern California to Rome (check out Norwegian airlines for some incredible deals to Europe right now). When we came back it was obvious we had to learn how to make our favorite dishes. 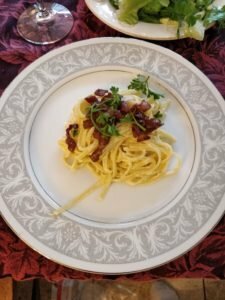 Carbonara is easy to make, requires fairly ordinary ingredients, and is really tasty. You can make this for little cost and pair it with a clearanced bagged salad kit for 99 cents/bag. 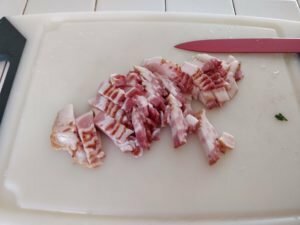 I started out by cutting up strips of bacon. 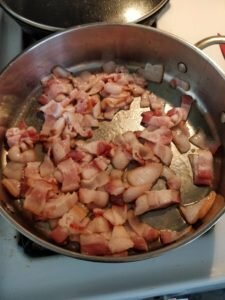 The Italians use pancetta, and if you have that, more power to you, but bacon works great and we have a lot of it (it was on mega sale – ordinarily $7.49/pound, we purchased 23 pounds for 99 cents/pound). While the bacon fried up, I got some minced garlic ready, boiled the water and made spaghetti (ordinarily well over $1/pound, but I purchased many for for 38 cents/pound, and also grabbed eggs and Parmesan cheese. Add the garlic to the bacon once it has rendered and cooked (but before it is crispy) and cook for a minute, then add a splash of red wine (the price varies widely obviously, but I purchased wine that was clearanced for 5L/$5.50). Dry is better, but it’s OK to experiment with what you like. Meanwhile, whisk the eggs (again, this price can vary widely, but I try not to spend over $1/dozen, though ordinarily, if you’re not careful, it’s closer to $3.99/dozen) and add in the Parmesan cheese. Set this aside. When your spaghetti is done, reserve a cup of the pasta water, drain the noodles, and quickly put them back in the pot. Add the egg and cheese mixture, and stir quickly. This shouldn’t be done over heat, or else the eggs will scramble, but the noodles should be hot enough that they’ll cook the raw eggs enough to ensure you are eating safe. 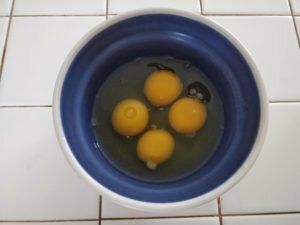 If you have any doubt about eating raw eggs, don’t do it! We’ve had this three or four times with no problems and we use store bought eggs. Put a little of the bacon mixture on top of your pile of noodles, and maybe some parsley if you like. Enjoy! NB: this recipe was mostly borrowed from the Food Network. They recommend mixing the bacon in with the noodles at the end, but I prefer putting them on top. Red Wine – look for great prices! Bagged Salad – usually $3.49/bag but I wait til I can find it for 99 cents/bag. For more ideas on how to save money on groceries, yet still eat delicious food, click here. Previous Post What Is Financial Fragility and How Can YOU Be Finanicially Stable and Resilient? 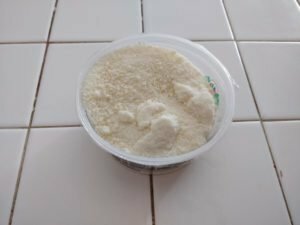 Question – when do you add in the cup of reserved pasta water? After you add in the egg/Parmesan mixture? Before?